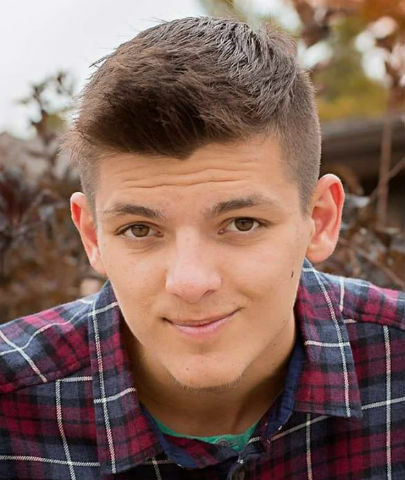 COLERAIN TOWNSHIP, Ohio -- In a Facebook post Saturday morning, Todd Allen wrote that his son, 18-year-old Andrew, has made small improvements. Andrew had been struck by multiple cars while crossing Springdale Road on Monday, according to Colerain Township police spokesman Jim Love. "He is not out of the woods by any measure. He is still very sick. The swelling in his body has come down considerably," Todd Allen's Facebook post said. "His heart is strong and running normally now. He is still being assisted by a ventilator, but not as much. Surgery on his legs has been postponed until he is stronger. He is an incredible fighter." He went on to thank the medical staff for the care that Andrew is receiving and for making his family comfortable. The Allens' youngest son, Brody, died due to congenital brain cancer on October 19th. Like he had for Brody, Allen -- a truck driver who took time off from work to stay with his younger son -- created a GoFundMe campaign to help cover Andrew's medical expenses. "This has been an awful several weeks for us. Despite the heartache and tragedy, we are hopeful and feel blessed," Todd Allen's Facebook post said. "First and foremost God is with us and has a plan. I'm not going to say it's always been easy and there haven't (been) very serious conversations with God. But he is with us and we trust he will see us through." READ the latest Facebook posts on the TEAM BRODY page .